Paul Langdon Williams was born on April 16, 1894 in Detroit, Michigan. He spent his childhood in Los Angeles where he studied Arts: in 1917, he graduated from the prestigious Stanford University. The same year, he was appointed second lieutenant in the reserve infantry but decided in October to engage as a first-class soldier in the US Army Light Aviation: February 19, 1918, Williams is again named second lieutenant, this time as a pilot. At the end of the First World War, he patrols along the Mexican border like most of his caramades at that time. His successive assignments lead him to Florida, Louisiana and California. Promoted to rank lieutenant on July 1, 1920, he was posted to the airmail before being sent to the Philippines where he served for several years carrying out postal and observation patrols. From 1927, Paul Williams worked as a flight instructor at Brooks Field in Texas and became the training officer in 1931. That same year, he was promoted captain. In August 1936, he presented the Air Corps Tactical School’s tactical air force tactics school before taking command the following year of the 90th Attack Squadron (90th Attack). Squadron) located at Barksdale Field in Louisiana. Chief of the Bureau Operations Instruction to the 3rd group of bombers in 1940, he took command. Promoted lieutenant-colonel then colonel on January 5, 1942, he participated in England in the setting up of the 8th Air Force before taking command of the 51st Troop Carrier Wing (51st T.C.W. or squadron troop transport), based in Scotland. He participated in the equipment training of this unit, which was used for the first time in North Africa as part of Operation Torch: on November 28, 1942, he personally led his forty-four C-47 aircraft as part of parachuting of 530 British paratroopers belonging to the 2nd airborne battalion. On January 21, 1943, Williams was appointed to head the 12th Air Support Command, with which he participated in the aftermath of the fighting in North Africa, including the Battle of Kasserine. Promoted Brigadier General on March 18, 1943, he temporarily took command of the Northwest African Air Force Troop Carrier Command, created as part of Operation Husky, which represents the invasion of of Sicily by the Allies. The 51st T.C.W. participates in the Ladbroke operation in cooperation with the US paratroopers of the 82nd Airborne Division while the 52nd T.C.W. is involved in the Husky operation. 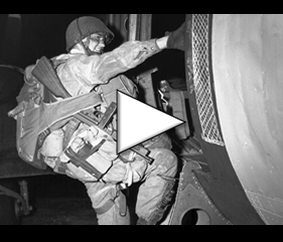 From these experiences were born the pathfinders (“pathfinders” in English) whose mission is to direct the bulk of air forces during an airborne operation. As part of the preparation for Operation Overlord in Normandy, the 9th Air Command Troop Carrier Command (9th T.C.C.) was created in October 1943 by General Lewis Brereton, Commander 9th Air Force. On February 25, 1944, Paul Williams was appointed to command this air command: at the end of May 1944, this unit had no less than 1,116 personnel, 1,207 aircraft in working order, 1,118 Waco aircraft and 301 Horsa gliders. It makes work the 52nd T.C.W. for the benefit of the 82nd Airborne Division and the 53rd T.C.W. for the benefit of the 101st Airborne Division. Williams leads his unit throughout Operation Overlord and during the Battle of Normandy. Under his command, his men transport several thousand combatants to the front line and contribute to the success of the invasion of Western Europe. Subsequently, several squadrons of troop transport of the 9th T.C.C. Provisionally meeting in the air transport division (Troup Carrier Air Division) participate in Operation Dragoon: parachute drops in the context of the landing in Provence in August 1944. Promoted Major General Aug. 26, 1944, Williams participated in the preparations and launching of Operation Market Garden on Dutch territory, led by the 1st Airborne Allied Army. 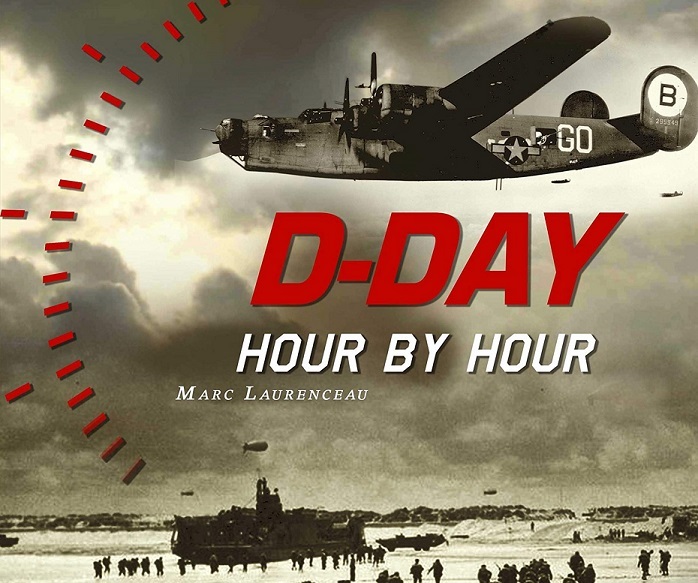 As for the D-Day, the 52nd T.C.W. for the benefit of the 82nd Airborne Division, the 53rd T.C.W. for the benefit of the 101st Airborne Division. Williams takes part in the organization of Operation Varsity, which consists of an airborne assault over Germany in support of the crossing of the Rhine by the 21st British Army Group. At this stage of the war, General Paul Williams masters like no other the art of troop transport by air. In July 1945, two months after the signing of the peace treaty by the Germans, he returned to the United States, still leading the 9th T.C.C. based in Indiana. Promoted to the command of the 3rd Air Force, in April 1946, he was then appointed to the 9th Air Force and 2nd Air Force. In April 1950, he was temporarily transferred to the Air Force Staff before retiring on April 30, 1950. He died on March 3, 1968.